Where Old Nation Rd dead ends into Springfield parkway, you will find Springfield Elementary School. One of York County District 4's award winning elementary schools This school serves grades K – 5. 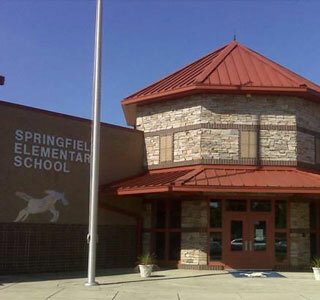 Rated 9 out of 10 according to GreatSchools.org, Springfield Elementary School is one of the many sought after school districts in the Fort Mill area. Being on only 15 minutes from either Ballantyne or downtown, Fort Mill is the perfect destination for family life while still being a professional in near by Charlotte. Principal Springfield Elementary, which has an approximate enrollment 755 students. The classes ranging from Kindergarten through 5th grade. Your Springfield Elementary School Resources.